Fully morticed and tenoned, with 4 large glass panels above a 5 plank construction. 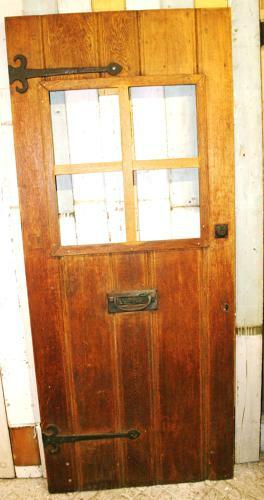 This door retains its original letterbox and decorative strap hinges. We can quote for further work if required.